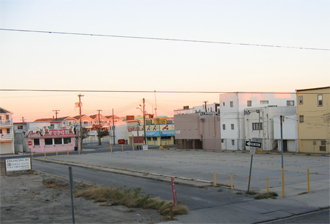 The Wildwood Bus Terminal was always a neat spot that I have fond memories of. 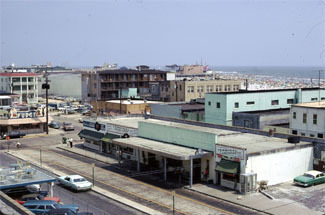 I remember in the years after my Grandmother had moved away from Wildwood she would return to visit us often through the summer months, taking the bus down to the shore. I can still recall excitedly awaiting her arrival at the terminal, which had a little luncheonette as well as a large candy store and sundry shoppe. 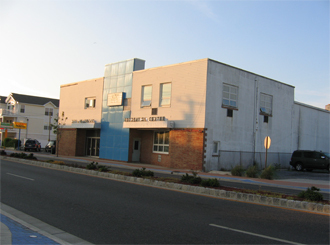 This building has been gone for many years now and a parking lot has taken its place, but the narrow little street that cuts through from Oak to Wildwood Avenue still remains, as does the memory of the bus terminal each time I pass this location. 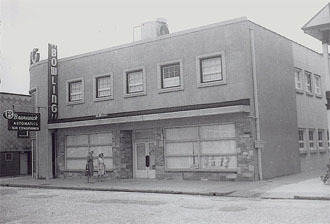 The building pictured above was once home to Glenwood Lanes (or Glenwood Bowl as some called it) located on Glenwood Avenue just off the Wildwood Boardwalk, and was one of the locations at which the movie Going Home was filmed in 1971. I remember in my teenage years they converted the second floor into a roller skating rink. 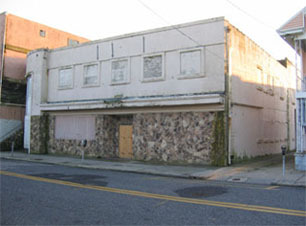 This building still stands today but has been abandoned for many years. 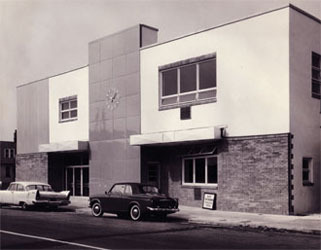 Originally the Wildwood Title And Trust Company and later Cape May County Savings And Loan - this building is located on the SE corner of Wildwood and Atlantic Avenues and had several incarnations including a short lived Chinese Restaurant in the 1990's. 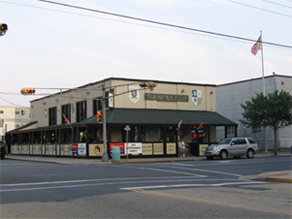 Today it remains home to Tucker's Pub. 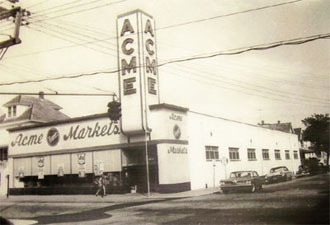 What is now home to the Atilis Gym located at Maple and Pacific Avenues was once an Acme Market in the 50's and 60's. 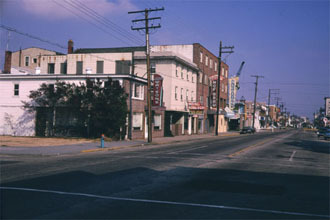 The photo pictured above shows the 3400 block Atlantic Avenue in the 1960's when it was home to Wildwoods famous Hotel Hof Brau and Valentino's Restaurant. 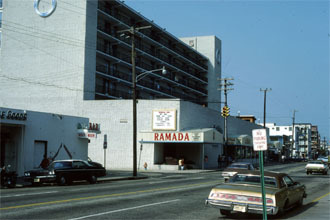 Above right, the same location in 1976 as the Ramada Hotel. 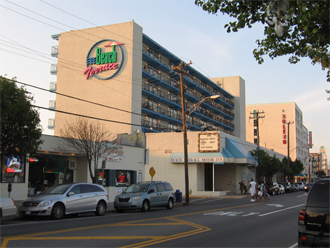 To the immediate right in 2008 as the Beach Terrace Hotel, which it has been for many years. 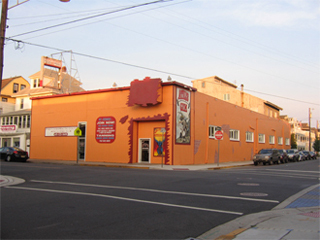 As if frozen in time, the Wildwood Recreation Building located at 243 East Rio Grande Avenue has managed to retain its original look. 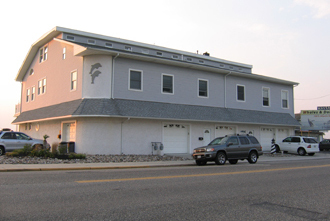 The Open Kitchen Restaurant was owned and operated by James Potter and located on the NW corner of Wisteria Road and Park Boulevard in Wildwood Crest. 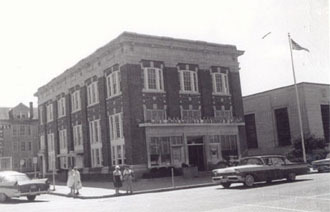 This building had remained unchanged until about six years ago when it was converted into condos. 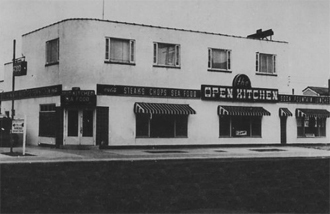 The above photo of the Open Kitchen was taken in the 1950's - above right in 2008. Thanks to the Wildwood Historical Society and also to Dave Williams for providing the above photos from the past.